How do we deliver jobs to Peerlyst users that they won’t be perceived as SPAM? This was my first Design Hackathon. My expectation was a bit high, knowing I would be working with other Designers. I have worked with other teams in the past, but this was entirely new to me. Once I arrived at the event, I was nervous about how this event will play out, but I felt confident diving into something new. There were two prompts that solely focused on Design; 1.) create a new discussion form in a private mode and 2.) create a job board. 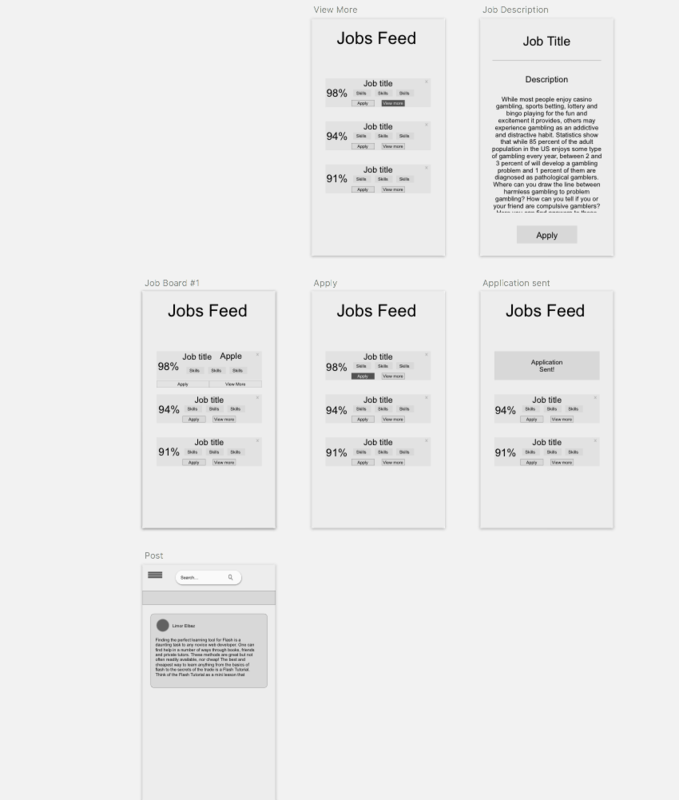 Our Design options in order to complete the Design Hackathon was either wireframe or any level of mockups, as long it solves the problem with the prompt given. Since this was an all-day hackathon, there was a deadline for it to be completed by 8 pm. Teams were forming quickly and there were about 12 designers in total. 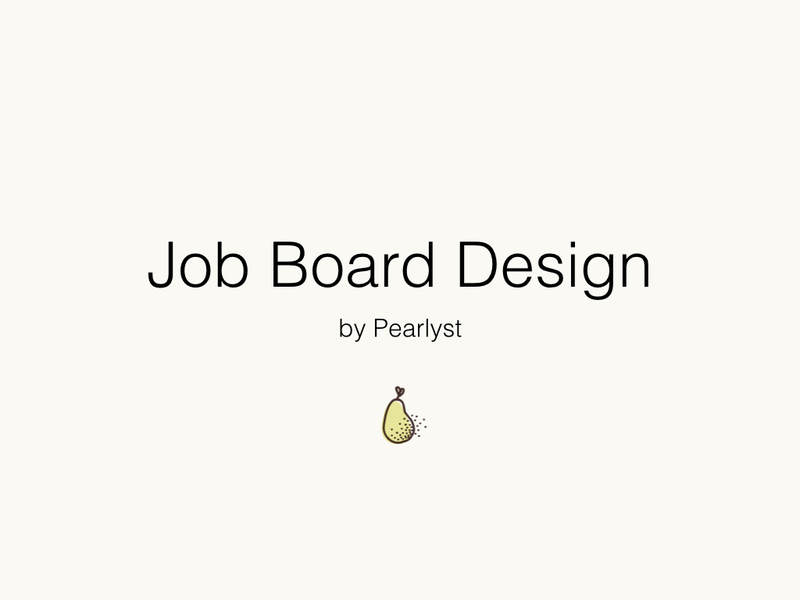 My team was made up of 4 Designers and without any hesitation, my team picked a job board. We started a brainstorming session to figure out what problems a user may encounter. 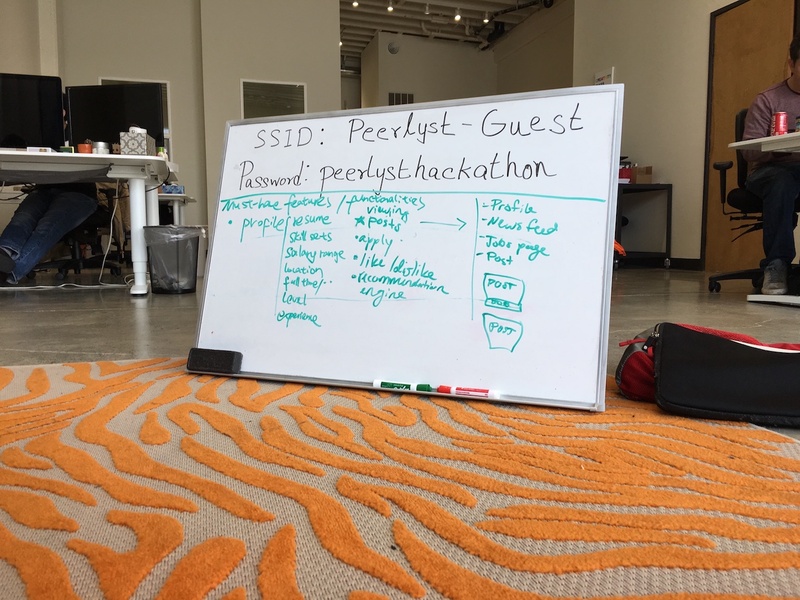 Due to limited research, the Peerlyst team did offer support by providing any information or advice during the hackathon. The prompt of a job board seemed simple and, in the back of my mind, I thought how can we solve this problem without overthinking it. We quickly thought about other websites like Linkedin, Indeed, and Monster since they have the largest job board in the world, so how can we focus our job board on Peerlyst users. Comparing these websites to Peerlyst was different because they solely focus on all users compare to Peerlyst solely focus on Security Professionals. My team and I really wanted to focus the problems that Peerlyst user would face. If they did add a job board on their website, what would they encounter, and will this drive away the users comparing to another job search? The importance of having a brainstorming session was critical to signal out the keywords. We quickly wrote down our ideas on a whiteboard. The session did help narrow down our first round of problems and eliminate some ideas before we did a quick 20-minute sketch. The team decides to sketch out 20 minutes to brainstorm. I wasn’t sure what to sketch out at the beginning. The Peerlyst website seemed like a good start to sketch out my ideas. At first, my drawing wasn’t that great, but I realized it wasn’t about my drawing skills. It was mostly about getting my point across. My sketched below did help my thought process throughout the hackathon. Our sketch session did help narrow down the five keywords we wrote on a whiteboard. We decided to do another brainstorming session to pick one or two problems before moving onto the next round. 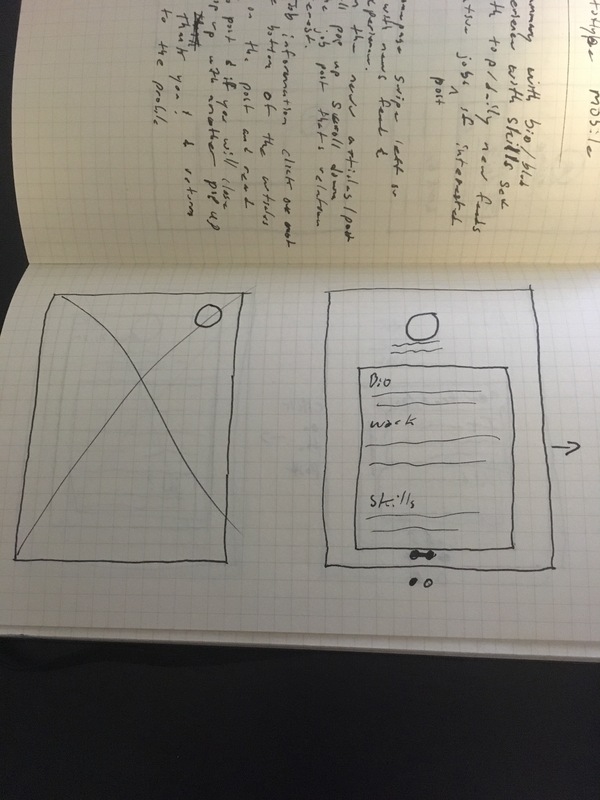 At this point, we were unsure of how to move on and we came up with the idea to sketch out a wireframe prototype on paper. This session took up about 20 minutes or so. 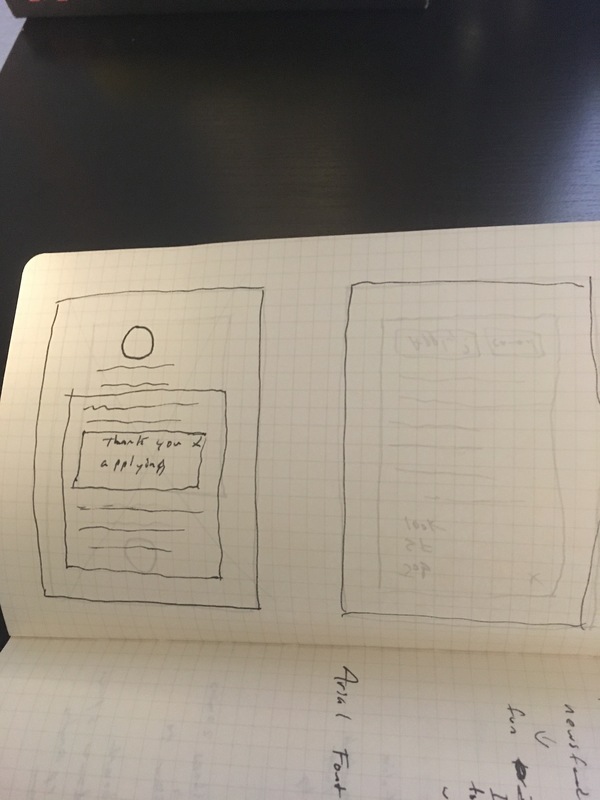 My wireframe prototype sketch below was a good start to visualize how this will come together. 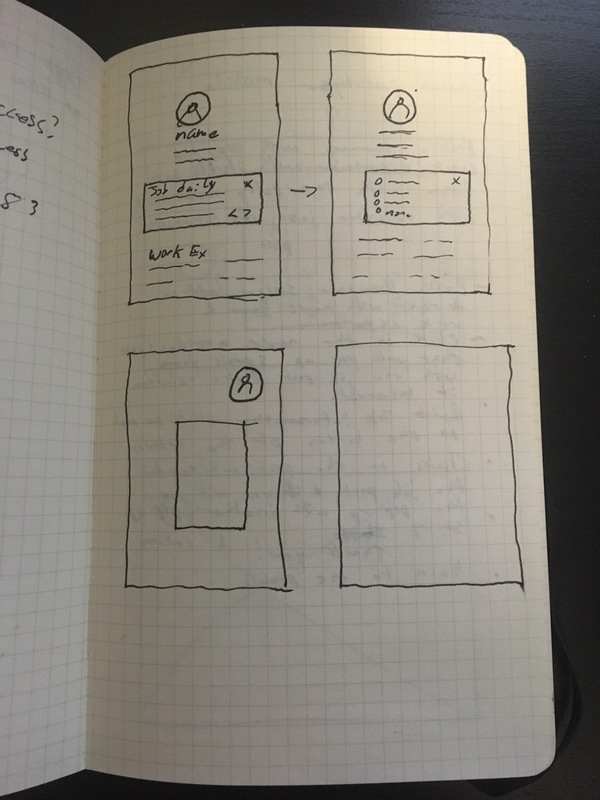 We presented our sketched wireframe prototypes to each other and provided feedback. All of us picked one or more ideas from our prototypes to collaborate on our final design. Once we established what our task was, we split up the work, half working with Desktop and the other half with Mobile, to ensure this would be a responsive design. I worked with Mobile. I felt that this was a great challenge to embrace. 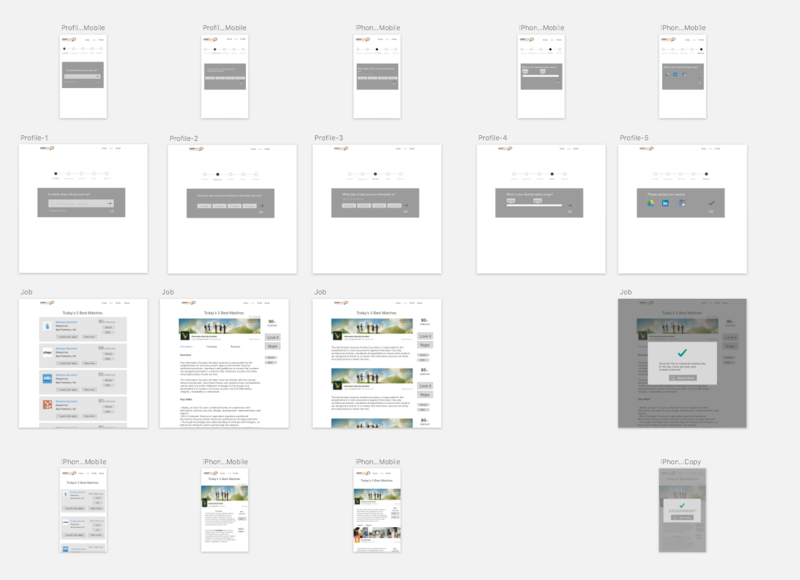 The team and I worked on low-fidelity wireframes on Sketch to make one more round before we moved on to build our final design mockup. After we wire-framed on Sketch to present our work to the team. Help us with provided feedback and as a team decided to have the Desktop team design the mockup first. Then, the Mobile would respond to the Desktop half’s work and so on. I was responsible for resizing the Desktop to Mobile and formatting altogether. Since my team didn’t win, we made a strong pact to accomplish our goals. Click here for the link of the blog of the hackathon from Peerlyst. We created job posts scored by relevance and displayed them on job feeds as well as blended them into the current Peerlyst experience. I have learned a lot from this experience at Design Hackathon it helps me understand what challenges I would face in future hackathons. Building a design mockup with talented group individuals. The long hours we face with a tight deadline and to present our work in front of judges. Furthermore, was one best memory I will take from this experience. The most challenging part from this experience was having many different ideas with a range of backgrounds experience come together and work as a team. This was an enjoyable experience with everyone I met, my team, and the Peerlyst team making the event fun and interesting. I really enjoyed every aspect from the beginning, middle, and end. Huge shout out to everyone who attended the event, the Peerlyst team for letting us use their office space, and my team Nan, Cherry, and Will for being awesome teammates. There was some feedback from my team members after the design hackathon.